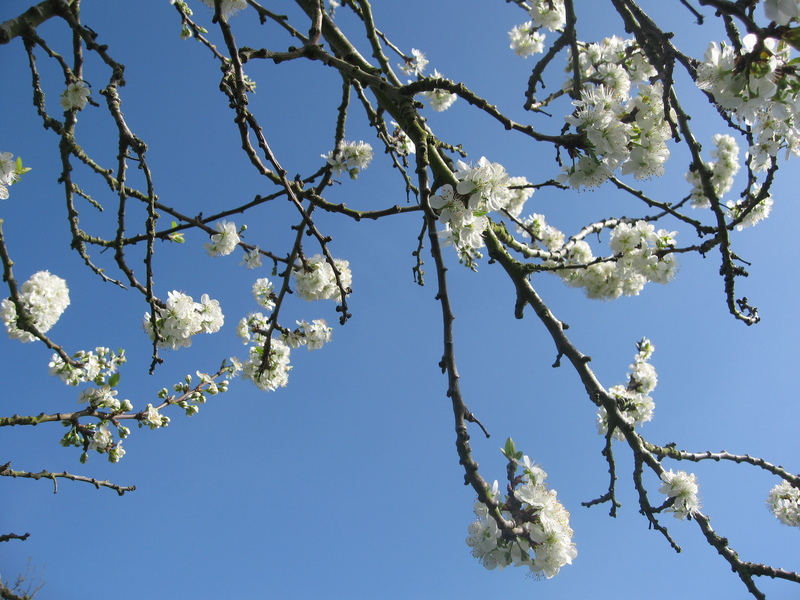 This year Spring has come late which has made the arrival of blossom even more welcome than usual. One year, I was lucky enough to be in Japan for their famous ‘hanami’ or flower viewing festival. This is the time that the whole country celebrates the beauty of Spring blossom, primarily ‘sakura’ cherry blossom. Businessmen and artists alike make pilgrimages to visit the best blossom displays. It was in Japan where I first discovered how the flowers could be used in food. They use them in both sweet and savoury dishes. 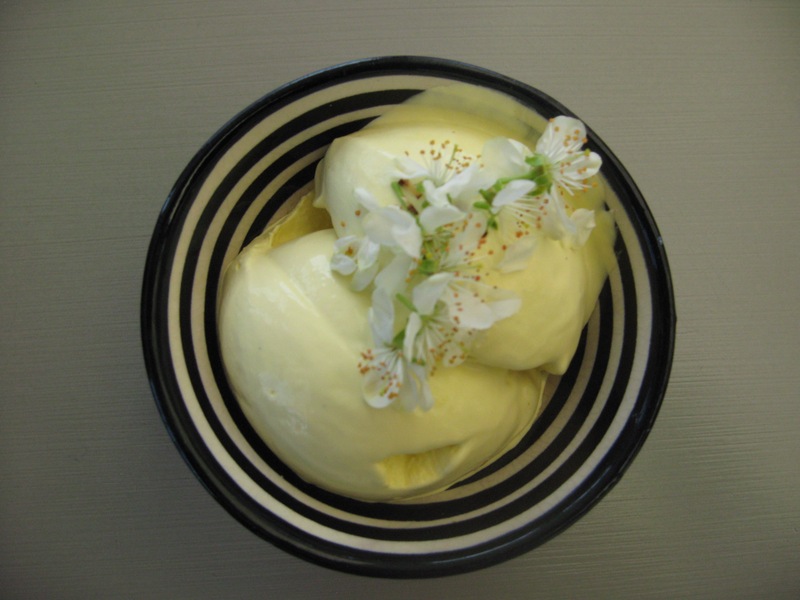 The flavour that steeps from the flowers, is both delicately floral and almond (a taste you will also find in the stones of the fruit) and I love to pair these with sweet, egg based dishes such as this custard based ice-cream. Make the most of the blossom now and then it will be the turn of the fruit to delight us. Put the cream and milk into a saucepan with the blossom and vanilla seeds. Heat until it is just starting to simmer. 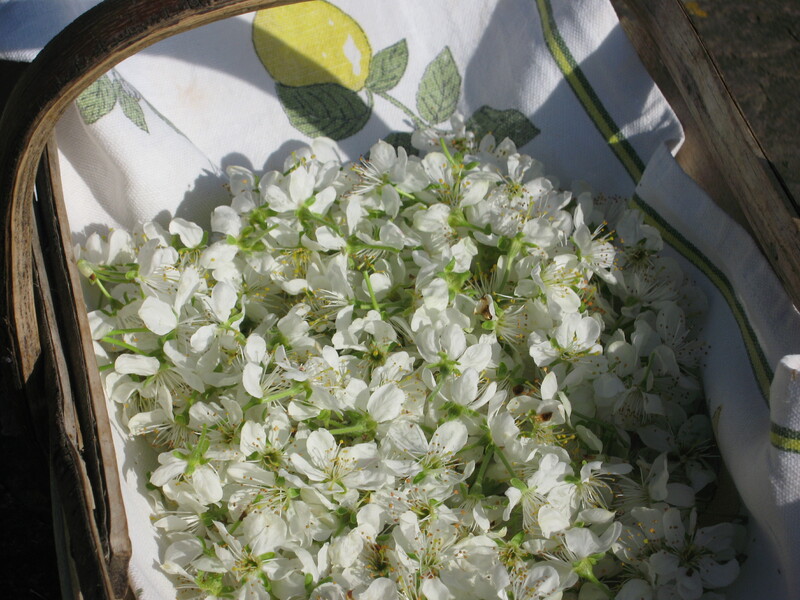 Remove and set aside and allow to steep for up to 20 minutes, then strain to remove the blossom. Whisk the egg yolks with the sugar for a couple of minutes to make them pale and creamy. Slowly pour the heated cream in a steady stream onto the yolks, whisking all the time. This will make a lighter, fluffier icecream by incorporating extra air. Return the mixture to saucepan and cook very gently for a couple of minutes so that it thickens slightly. Pour into a shallow container to cool or churn, if you have an icecream machine.